I’ve loved A. A. Milne’s stories about Christopher Robin, Pooh Bear and friends ever since I was given paperback copies of Winnie-the-Pooh and When We Were Very Young as a child. I still have those books – according to the back cover they cost 20p each. The books were originally published in the 1920s but their gentle stories and whimsical illustrations are timeless and have been enjoyed by every generation since. The characters in the stories are the author’s actual son, Christopher Robin, and his soft toys, Pooh Bear, Piglet, Tigger, Eeyore, Owl, Kanga and Roo. These original toys (except for Roo, who was lost) are now in the possession of the New York Public Library, (which I think is a shame – I’m sure they should really be in the Forest), but the places where the stories take place are based on the actual locations where Christopher Robin played, and you can still visit those places today. 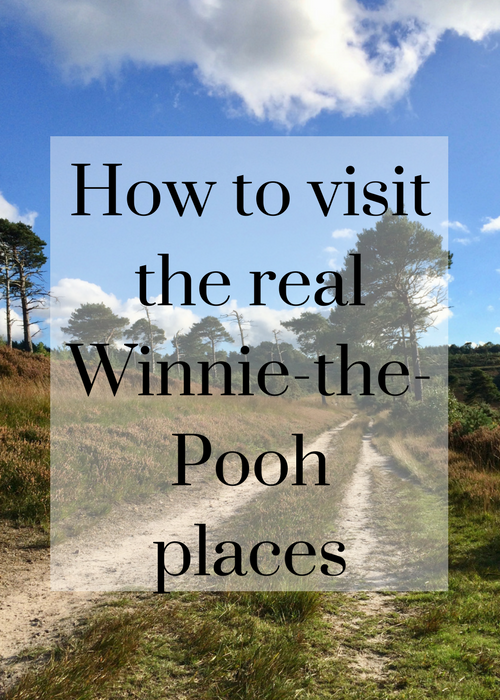 The Winnie-the-Pooh stories are set in a forest where there are pine, beech, oak and larch trees, gorse bushes, heather, thistles, streams, sandstone and mud. This forest is actually Ashdown Forest in Sussex in the South of England, where the author and his family had a house, and which is close to where I grew up and still live. It’s a beautiful place and its gentle slopes are ideal for walking and picnics. 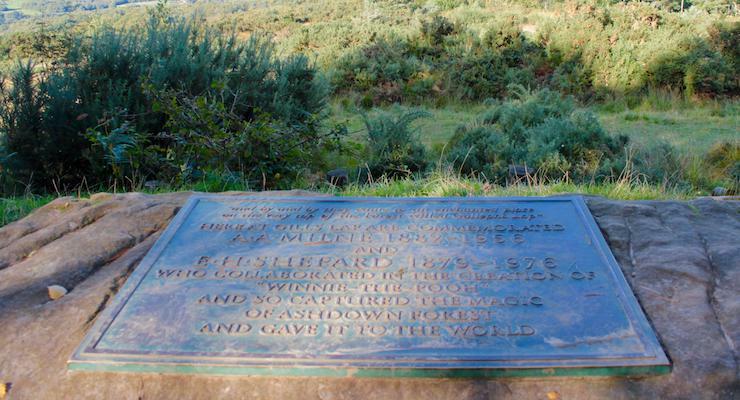 E. H. Shepard spent time in Ashdown Forest when creating the illustrations for the books. 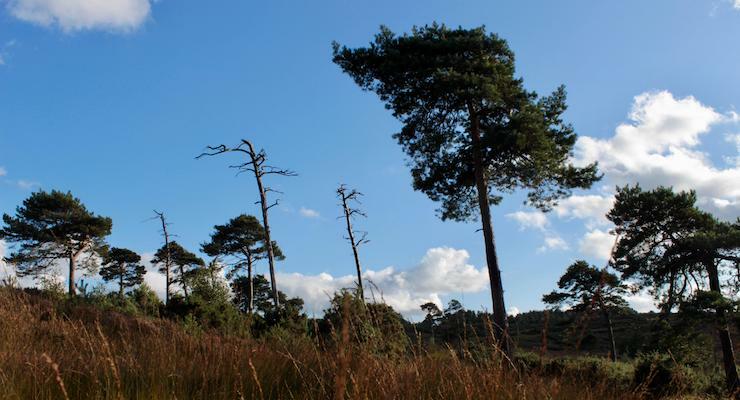 Originally a deer hunting forest, Ashdown Forest is now a free public area of heathland and woodland spread over 6,500 acres. 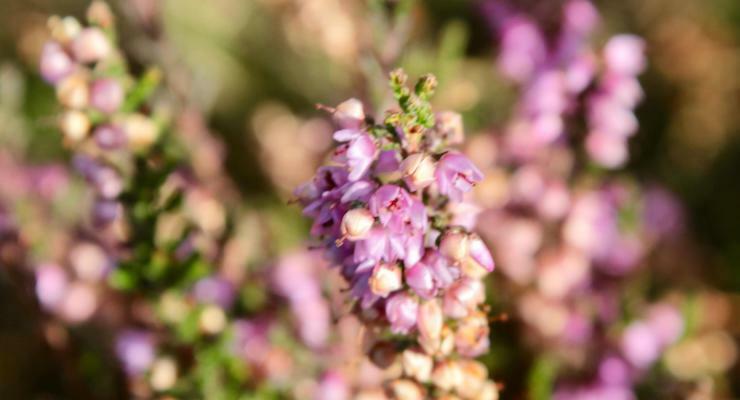 The Ashdown Forest Centre has a free Pooh Walks leaflet available to download. If you follow the routes in the leaflet, look out for the North Pole, the Heffalump Trap and Eeyore’s Gloomy Place – nobody knows exactly where they are, but there are many possibilities! In the stories, Hundred Acre Wood is the part of the forest where Pooh’s friend Owl lives. Pooh visits him there to ask his advice in the story In which Eeyore loses a tail and Pooh finds one. This is based on Five Hundred Acre Wood which you can find on Ordnance Survey maps of Ashdown Forest . You can walk there from Gill’s Lap car park, following the Pooh Walks route (see above). At the end of The House at Pooh Corner , Pooh and Christopher Robin go to an ‘enchanted place’ in the forest called Galleon’s Leap with a circle of ‘sixty-something trees’. Apparently it’s enchanted because, as far as the number of trees was concerned, ‘nobody had ever been able to count whether it was sixty-three or sixty-four’. This is actually Gill’s Lap in Ashdown Forest, a place which offers wonderful views of the surrounding rolling green countryside. Close to Gill’s Lap there’s a simple stone memorial to A. A. Milne and E. H. Shepard in a clearing. The elevated spot offers views of the countryside for miles around. Apparently Christopher Robin, his father and Pooh would sit here on their walks around the forest. In The House at Pooh Corner, Pooh invents the game of pooh sticks: in case you don’t know the game, it involves dropping sticks from a bridge into the water below and then seeing which stick arrives first at the other side of the bridge. The actual place where Christopher Robin and his father played this game is Posingford Bridge, in the middle of some woods at Hartfield Farm in Sussex. You can walk to the crossing via a footpath from the village of Hartfield. If you go, take some sticks with you because the locals get a bit fed up with visitors snapping sticks from trees in order to play the game. 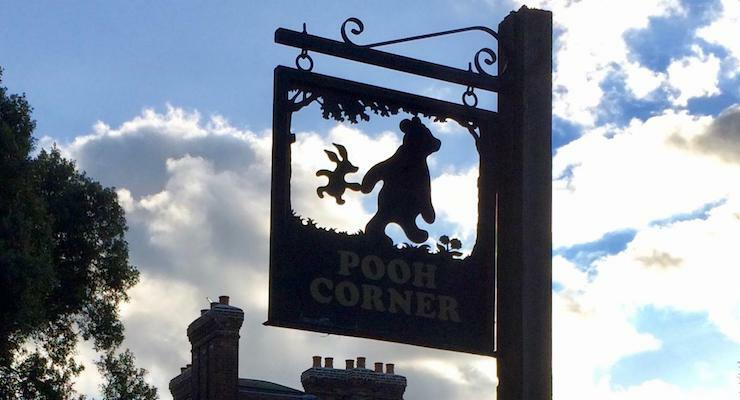 Pooh Corner is a shop and cafe in the tiny village of Hartfield, a few minute’s drive from Gill’s Lap. 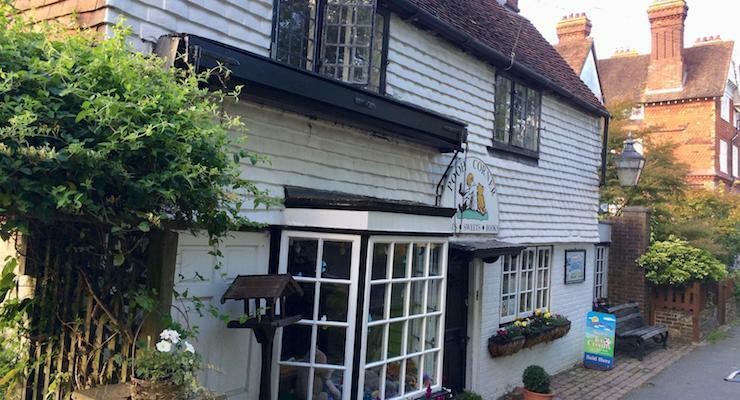 The Milne family lived on the outskirts of Hartfield in the 1920s and apparently used to visit Pooh Corner when it was a village store. Today the shop has a marvellous selection of Winnie-the-Pooh gifts as well as helpful information about the nearby Pooh locations. If you’re wondering how Pooh got his name, I can help. In his introduction to the book Winnie-the-Pooh, author A. A. Milne explains that his son Christopher Robin once knew a swan which he called Pooh, and took the name from there. The Winnie part comes from a brown bear called Winnie who Christopher Robin loved to visit at London Zoo. Milne says that when his toy bear needed a name: ‘Christopher Robin said at once, without stopping to think, that he was Winnie-the-Pooh’. Read my post about London Zoo here: A family trip to London Zoo. Do you like the Winnie-the-Pooh stories? Have you ever visited any of the places where the stories are set, or would you like to? Disclosure: This post contains some affiliate links, which means that if you clicked through and made a purchase I may receive a small commission. All opinions, images and words are my own, as ever. I grew up in Crowborough and have played pooh sticks for decades me as a child, with my nephews and nieces, with my own children and now with my nephew’s daughter. 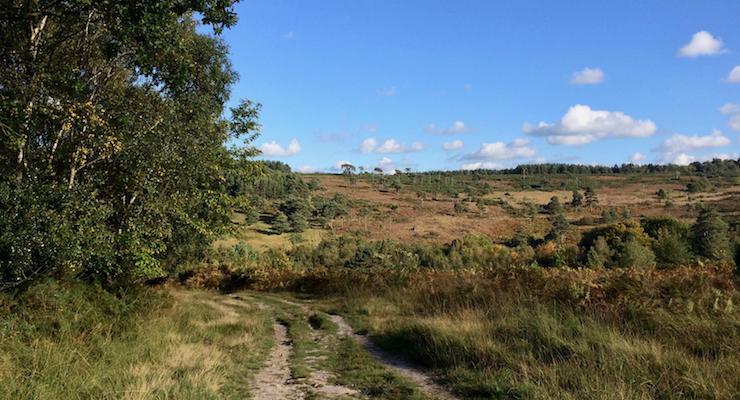 Ashdown forest is such a beautiful place to walk and i’ll be heading there next week for a quick visit back to the UK. A place where dreams are born and generations of memories have been made. Love the post by the way!! Thanks Michelle, it is indeed a beautiful place. Ashdown Forest was my first country walk near London. We set off far too late, in October, got lost in the woods, and only just made it out before nightfall! I’d like to return now though, with a more sensible head on.